Every child is a unique gift from God and the process surrounding Special Educational Needs and Disability (SEND) may look very different for individual pupils. At St Monica’s we are striving towards a real sense of personalised education where every child enjoys learning and achieves within an inclusive classroom. Please read our SEND Information Report below to learn how we provide for the needs of all pupils. Click on the appropriate chapter title below to read the content. Click again to close the chapter title. At St Monica’s Catholic Primary school we believe that every child is a unique gift from God, with his or her own gifts, therefore we understand every child must learn and succeed in a different way. We strive to embrace the individuality of our pupils to provide them with the right resources, environment and support to access learning and achieve. We believe in a positive sense of well-being, ambition and progress for all children. St Monica’s is an inclusive school which offers a range of provision to support children with Special Educational Needs and Disability (SEND). The range of support deployed will be tailored to meet individual needs following assessment by school staff or external agencies. SEND is not a peripheral activity but part of the mainstream curriculum delivered to all children and the responsibility of all our teachers. • We aim to meet the needs of individual children through highly effective teaching and learning. • There is an emphasis on early identification of needs through supportive strategies which reduce barriers to learning. • We work in a flexible way to develop effective partnerships with children and their parents/carers and with specialist teaching staff, both within the school and external professionals, in order to ensure that the school can meet a range of special educational needs. • We undertake a rigorous system of monitoring children’s progress, supporting academic and personal achievement by removing barriers to learning and we use a wide range of strategies to foster a culture of life-long learning for all children. At present, SEND pupils make up 11% of the whole-school population. The proportion of pupils assisted by SEN support is below the National average. We are currently working on identification of and provision for SEN children in order to raise levels of progress and achievement further. • a significantly greater difficulty learning than the majority of children of the same age. • a disability which prevents or hinders the child from making use of educational facilities of the kind generally provided for children of the same age in mainstream schools. • the language spoken at home is different from the language used in school i.e. English is not their first language. The term SEND is used across the 0-25 year age range. Cognition and Learning which includes moderate learning difficulties (MLD), severe learning difficulties (SLD) profound and multiple learning difficulties (PMLD), specific learning difficulties (SpLD). Communication and Interaction which includes speech, language and communication needs (SLCN), Social Communication Difficulties (SCD) and Autistic Spectrum Disorder (ASD). Social, Emotional and Mental Health needs which includes attention deficit hyperactivity disorder (ADHD), attention deficit disorder (ADD), oppositional defiant disorder (ODD), attachment disorder, anxiety and depression. 1. How does our school know if your child needs additional support? Early identification of SEND is fundamental. We know that identifying needs at the earliest point and then making effective provision improves long-term outcomes for the child or young person. For this reason we have devised a clear approach to identifying and responding to SEND through the St Monica’s SEND Pathway (see appendix 1). How do we identify children with additional needs? What do we do when concerns are raised? Where concerns are raised and/or where children are not making expected progress (academic, social and emotional), first strategies will be put in place to meet additional needs within Quality First Teaching and sometimes targeted intervention groups. Where progress continues to be limited, despite differentiated learning opportunities, the class teacher (in liaison with additional teaching staff, parents/carers and SENCO) will look at a communication assessment or an emotions assessment to ascertain whether communication/emotional difficulties are presenting a barrier to learning. These findings will enable us to create a plan of support for your child and/or will trigger a specific assessment relating to the area that he/she is struggling with e.g. Literacy/Numeracy difficulties. The findings of any assessment will be shared with you and may prompt a ‘Cause for Concern’ form to refer your child to the SENCO for more personalised and/or specialist support. This may include: a more thorough assessment of need, one to one support with a Higher Level Teaching Assistant (HLTA) and/or referral to external agencies such as The Inclusion and Intervention Team or Speech and Language Therapy Service. In this case your child will receive a personalised Support Plan, tailored to your child’s strengths and needs, which will be shared with you and all of the teaching staff involved with the development of your child. This plan will outline the support that your child will receive during quality first teaching, targeted intervention and personalised support. It will also suggest strategies and how you can help at home. It will be reviewed every six weeks and updated to reflect the changing needs and abilities of your child. Every child with SEN has a ‘One-page Profile’. This document is created by the child with support from teaching staff and parents to celebrate the individual gifts and talents of our pupils. They also capture the essential information about what is important to and for each child to access learning and achieve. They are added to and redeveloped in full as pupils move to the next year group to support transition. The SENCO has a copy of all One-page Profiles for all children with additional needs. 2 What should a parent/carer do if they think their child may have special educational needs (SEND)? At St Monica’s we value the partnership that we have with parents/carers in fully developing the child that has been entrusted to us, therefore you should initially raise any concerns you have with your child’s class teacher. We have an ‘open door’ approach which allows parents and teachers to meet informally to discuss the children’s progress and needs. You can ask a teacher for time to discuss any concerns surrounding your child at the end of the learning day, when you collect your child from school. Furthermore parents/carers are welcome to go to the office to arrange an appointment to meet with their child’s class teacher at a more convenient time. Parents’ evenings are held in the Advent and Lent terms to formally discuss progress, targets and any concerns or needs. Where appropriate, our school SENCO, Mrs Michelle Laskey, will meet with you to discuss your concerns. The Head Teacher, Robert O’Malley, can also be a point of contact for further discussion about any concerns. 3. How will St Monica’s school staff support my child if he/she has been identified as having SEN? Pupils who have been identified as having SEND are highlighted to all teaching staff and we work as a team to ensure the strengths and needs of your child are catered for to make learning accessible on a daily basis. • Differentiating the curriculum to respond to strengths and needs of all children. • Checking on the progress of all children and identifying, planning and delivering any additional support through Quality First Teaching. • Contributing to One-page Profiles to prioritise and focus on the strengths and needs of every child. • Managing and co-ordinating additional intervention using a Provision Map where they decide upon the levels of support and resources that will be used to ensure academic progress. The type of support will be dependent on the type of need that the child has e.g. Targeted support = small group intervention that may be led by a teacher or a teaching assistant or Personalised/Specialist support = One to one support with a Higher Level Teaching Assistant (HLTA) or request for external specialist support. • Keeping you, the parent/carer, informed and involved in the process of identification of need and provision for your child. Where any concern is raised about your child, the class teacher will inform you immediately and you will work in partnership to discuss the strengths and needs of your child to start the process of identification of SEND. • For children identified as having SEND, depending on the need, a Support Plan may be drawn up by the class teacher. This is where your child’s strengths and needs are recorded and appropriate intervention is put in place to meet specific developmental outcomes. You will be invited into school for a meeting to discuss this plan and consider strategies of support for home. During this meeting, the roles and responsibilities of members of staff working with your child will be discussed. Where appropriate, your child may be taught in smaller groups, or have additional adult support and this will sometimes be with a Teaching Assistant (TA). TAs follow the guidance/planning of class teachers to provide appropriate support to pupils with SEN. This may be within Quality First Teaching, Targeted Support (small group focus) and/or Personalised Support (one to one focus). • Liaising with a range of agencies outside of school who can offer advice and support to help children overcome any difficulties. HLTA’s follow the guidance of the SENCO to conduct valuable assessments of children with SEND to pinpoint specific developmental targets to ensure progress. They meet regularly with the SENCO, class teacher, teaching assistants and where appropriate parent/carers, to suggest strategies and programmes of intervention for children with SEND. In addition to this, they provide effective Personalised support, in very small groups or on a one to one basis to meet specific targets set by Support Plans. The Head Teacher, Robert O’Malley, has overall responsibility for the day to day management of all aspects of the school, including the provision made for children with SEND. He will track and monitor the progress of children and evaluate the impact of interventions ensuring that all children receive their full educational entitlement to access the whole curriculum. The Head Teacher will ensure that there is sufficient funding for SEND provision, including opportunity for staff training. Our Governing Body aims to secure the necessary provision for any pupil identified as having special educational needs. They monitor the success of the school’s policy for children with special educational needs, consult the Local Authority and other schools when necessary and report annually to parents on the success of the school’s SEND policy. The Governing Body at St Monica’s have identified a governor to have specific responsibility of the school’s SEND provision. This governor may ask for up-to-date records, data analysis, pupil tracking information or test results for individuals or for groups of children. The SEND governor will monitor pupil progress on the school’s SEND register, evidence from OFSTED inspection reports and development plans. 4. How will St Monica’s School adapt the curriculum for my child who needs additional support or has SEN? At St Monica’s we celebrate the fact that every child is a unique gift from God. We respect that every individual pupil has different educational and behavioural needs and aspirations, and therefore grasp, understand and communicate information at different rates. For this reason, every pupil needs different strategies for learning. 5. How will the school know how my child is doing and let me know? How will the school help me to support my child’s learning? • Weekly reading records and homework checks. • Parents information via reading record books, curriculum forecasts and informal meetings. If the school is concerned about your child’s progress, a meeting will be arranged for parents and class teacher (and SENCO where appropriate) to discuss the strengths and needs of your child. From this point you will be involved in the identification and planning process of support for your child. You will be provided with copies of a Home-School Discussion Form, a Support Plan (where one is put in place) and will be regularly updated on the progress of your child at least once per term. Where specialist agencies, such as Speech and Language Therapy, are involved you will often be invited in to share your knowledge of your child and you will be kept informed of any support provided, as well as be provided with any specialist reports produced. 6. What support is offered from the School to ensure the well-being of my child who requires extra help or SEND? As a Catholic community the care, guidance and support for our pupils is at the heart of the work of our school. We believe that having a high self-esteem is crucial to children’s well-being and we pride ourselves in having a very caring, supportive team looking after our children. The class teacher has overall responsibility for the pastoral, medical and social care of every child in their class. As a result support for well-being is a part of daily practice in the classroom. Every day begins with a well-being check-in circle. Children share a number from 1-5 (1 being low and 5 being high) as to how they are feeling that day. This provides an opportunity for the children who are feeling ‘low’ that day to have a nurturing conversation with their Teacher/TA and helps teachers to identify who may require additional pastoral care. • Learning Mentor – Erica Hayes. • Whole-school Behaviour Management system – as a Restorative school we use positive strategies to support children who present with challenging behaviour and encourage all children to take responsibility for the effect their behaviour may have on others. Where necessary adult support is implemented at key trigger times e.g. playtimes and lunch. • Care plans for students with medical needs are shared with all staff and displayed in the medical room. Parents need to contact the admin staff if prescribed medication that needs to be taken during the school day. • All staff hold current First Aid certificates and attend annual training up-dates for epi-pen administration. 7. 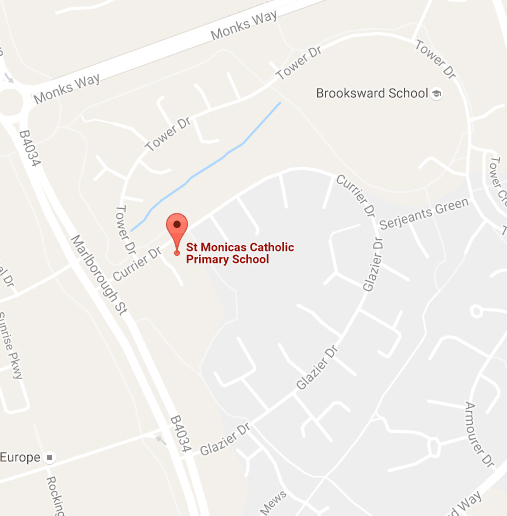 What specialist services and expertise are available at or accessed by St Monica’s Catholic Primary School? At St Monica’s we are fortunate to have a wealth of expertise in-school to enable us to provide high quality provision for children with SEND. •	Our SENCO, Michelle Laskey, has been a classroom teacher for nine years. Having taught in EYFS, KS1 and KS2, she is highly skilled at identifying the needs of pupils and planning appropriate provision for them. She has also recently been successful in the completion of the National SENCO Award with The University of Northampton. 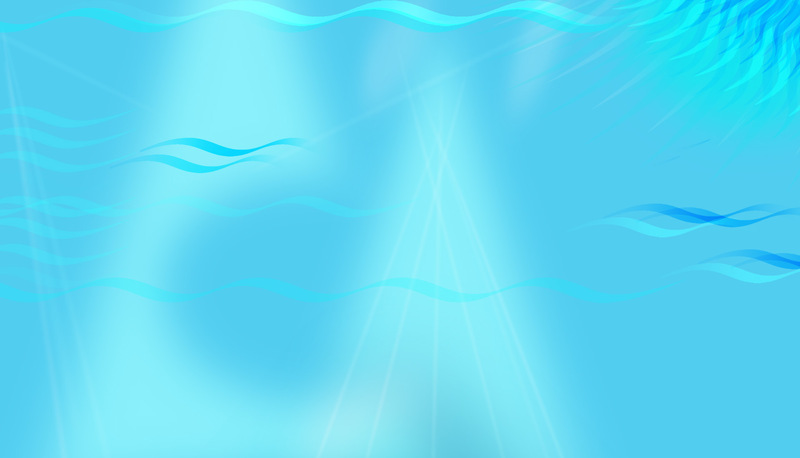 •	We employ five HLTAs who each have particular areas of expertise. They implement personalised intervention, conduct detailed assessments of pupil needs and offer training/support for TAs in the implementation of intervention groups. •	We have recently adapted the role of one of our Teaching Assistants, Lisa Nixon, to work with our Early Years HLTA to provide additional support for children with Speech, Language Communication Needs (SLCN) and fine motor difficulties. •	A team of 19 Teaching Assistants (TAs) are trained to deliver a range of interventions on a small group and 1:1 basis e.g. Numicon; Teodorescu’s Perceptuo-Motor Programme; Talking Partners, Spirals, Phonics One-to-One tutoring, Handwriting. •	Claire McGonigle, is also part of our TA team, providing one-to-one support for one child with an EHCP. •	Expertise can also be drawn from our 16 Teachers, each with different experiences of teaching children with SEND, and our Senior Leadership Team, where Natalie Shanahan (Deputy Head) is a Specialist Teacher of Mathematics. •	We also employ two consultants: Jo Anderson (Mathematics Consultant) who provides additional support for teachers and provides ‘close the gap’ intervention for children and Joanna Kalson (Literacy Consultant) to help us to strengthen our approach to teaching Literacy within the new requirements of the National Curriculum and to prepare for SATS assessments. •	Jane Stansfield is also employed one afternoon per week to work with children who have been assessed using the IDP Dyslexia Criteria. She will work with children on a 1:1 basis and model effective strategies for supporting the development of Reading to Teaching Assistants who will continue to implement this support throughout the school week. In addition to this, we work with a number of external agencies to seek advice and support to ensure that the needs of all children are fully understood and met. We liaise and communicate with professionals and parents/carers, attend meetings and prepare reports as required. •	Physiotherapy and Occupational Therapy Service. Parents can make the referral in the first instance and take their child to the Child Development Centre. •	School Nurse and Health Services. Referrals can be made to community paediatricians through the school nurse for assessments, treatments, advice and support on health conditions that may impact on the child’s ability to access the curriculum. •	EMA Network (Ethnic Minority Achievement) give support for children with English as an additional language. •	Parents and Carers Alliance in MK (PACA) and Parent Partnership Service both offer support for parents/carers with children who have SEND, or where there is a concern that there may be SEND. •	Links with other schools – the school SENCO attends half termly locality meetings which enable shared discussion on SEND and helps to ensure continuity of provision. 8. What training are the staff having or going to have to support children with SEND? At St Monica’s we place a strong emphasis upon the professional development of all staff. An ongoing programme of training is in place to ensure that teachers and support staff have appropriate skills and knowledge in areas that will improve their teaching and support of children with SEND. The SENCO, Mrs Michelle Laskey, attends regular training in order to ensure best practice is embedded into Quality First Teaching and to determine the best possible outcomes for individual pupils. She will monitor all forms of provision, such as Targeted and Personalised support, to ensure the best responses to children’s needs. This will often include sourcing and providing professional development and specific training for staff. *This list is not exhaustive, it will be added to as and when training is required in light of the needs of pupils and staff. All pupils have an equal access to a broad and balanced curriculum. The school welcomes many visitors and specialists who enhance teaching and learning and there are frequent school trips to local places of interest. Residential visits are also offered. We acknowledge every child’s entitlement to share the same learning experiences as their peers, for this reason we provide the necessary support to make this happen. For every school trip we ensure that children with SEND are listed on the Risk Assessment to make certain that appropriate support is carefully considered and in place for the event. This may include additional adult support or equipment, analysis of areas that may be unsafe for some children and how these can be avoided, and an awareness of ‘quieter’ areas for children who need regular sensory breaks. Close consultation with parents/carers will be undertaken to ensure any child is adequately catered for during visits or trips. 10. How accessible is the school setting and environment? • Although the school is built on three levels, each level is wheelchair accessible and linked by an outdoor path. • There is a large disabled toilet, large enough to accommodate changing. • We liaise with EMA (Ethnic Minority Achievement) who assist us with supporting our children with English as an additional language. If your first language is not English, we will endeavour to seek a translator, or will work with you to ensure an English speaker is present. Where possible, the school will support you with the understanding of relevant paperwork. • When children with specific needs requiring specialist equipment join our school, we hold a joint planning meeting with relevant services to discuss their requirements. Following the meeting, the relevant adjustments to the school building are carried out and equipment is installed. • All classrooms have interactive whiteboards to assist with learning and children have access to laptops and Learn Pads. • The school is well resourced with equipment, games, books and ICT to support learning for SEND children across the curriculum and across Key Stages. 11. How will the school meet the needs of my child who requires extra help or SEN to transfer to a new school or the next stage of education and life? At the very start of their schooling life, in the Early Years Foundation Stage (EYFS), children and parents are first invited into school for stay and play sessions where they can become familiar with the environment and the adults who will be supporting them. Following these initial experiences, we carry out Home Visits to meet the child in their own environment and you will be invited to share the strengths and needs of your child. Information meetings are also arranged for parents/carers to learn more about our school and ask any questions they have. A staggered intake with shorter sessions is then implemented to ensure that our children are given every opportunity to become familiar with their new surroundings and key adults and settle into school life positively. EYFS Staff will advise the SENCO of all children with SEND transferring from other nurseries or pre-schools into our school and/or will highlight where parents have expressed concerns during home visits. Further up the school, we encourage all children new to other year groups to visit prior to starting for a tour around the school and where possible, meet their new class teacher and future peers. For children with SEND, we arrange additional visits and offer shorter settling in sessions if necessary. As children move through the school each year, medical and educational information is shared with relevant staff during a ‘hand over’ meeting which ensures a smooth transfer for the pupil. A SEND file kept by the class teacher will be passed on to the new class teacher to ensure the historical information about your child and any effective provision in place will continue. Parents and children are also involved in this transfer through the use of a One-Page Profile completed by the child to express their views as to how they are best supported. When children move on to their next school, the SENCO will organise a transition meeting with your child’s next school and staff who have been working with your child to ensure the needs of, and plans for, your child are fully understood by the receiving school. Depending on what each child’s SEND are, additional visits or specific resources may also be organised/distributed, before your child starts at their new school. Preparation for Secondary starts early for all pupils. In Year 4, pupils are offered their first taster day at a local Secondary School (St Pauls Catholic Primary School) and we build on this in Year 5, with more visits in Year 6. When parents/carers are deciding on a most suitable Secondary School for their child, we recommend that you visit all schools that you are interested in to discuss their provision for SEND. The SENCO will liaise with you, the Secondary School and any relevant external agencies involved to plan effective transition for your child. This may include transition meetings, additional visits and settling in sessions for your child. If your child has an EHCP Plan (Education, Health and Care Plan) the Secondary School placement will be discussed at a transition meeting in Year 5. 12. How are the school’s resources allocated and matched to children with SEND? A notional SEND budget is allocated to our school each year. The Head Teacher is responsible for the management of the specified budget and agreed resourcing for special needs provision within the school, including the provision for children with statements or with EHCP. If additional funding is required to support your child that exceeds this notional budget, ‘top-up’ funding is sought by the SENCO, where the resources that are planned to be used have to be clearly defined and evidenced. This can be used on a temporary basis. Where your child’s needs are identified as being long-term and complex, an Education, Health and Care Plan (EHCP) is applied for. This has your views and your child’s views at the heart of this. After the school has gathered all of their evidence and submitted the paperwork, the EHCP, if agreed upon, takes a further 20 weeks to be received. The plan will have any additional funding allocated written in it, and specifies what this funding should be used for. This process includes a meeting midway through where you, and all of the professionals involved with your child, draft the plan together. The Head Teacher informs the Governing Body of how the funding allocated to support special educational needs has been employed. 13. How is the decision made about what type and how much support my child with SEND will receive? When your child has been identified as having special educational needs, we will meet with you to formulate a support plan that will ensure your child’s needs will be met at every available opportunity throughout the school day, and to consider how you can support your child’s learning at home. This meeting will involve you and the class teacher, and may sometimes include the SENCO and/or relevant external agencies, such as the Speech and Language Therapy Service. Together, you will make a decision regarding the level of provision required to support your child. It is important to note that this provision will be regularly monitored and reviewed through half-termly meetings and adjustments can and will be made at any time to ensure the needs of your child are consistently being met. Where your child is able enough to understand the process, they will also be involved in this decision. This may be through his/her views being shared by them at the meeting, through use of your child’s One-Page Profile and/or through observations of your child’s behaviour and performance that indicate their preference for particular types of support. Universal Support – Quality First teaching with differentiated learning opportunities. Targeted Support – Individual and group interventions where pupils’ specific difficulties are addressed. Personalised Support – Individualised programme of support, where targets and outcomes are outlined on a SEND Support Plan. This provides support that is ‘different from and additional to’ the differentiated curriculum which is in place as provision for all children. This level of support may also require the involvement and consultation of outside agencies e.g. educational psychologist, speech and language therapists, specialist teachers. – A move toward a Statutory Assessment of Educational Need – involving consideration by the Local Authority, working co-operatively with parents, the school and other agencies, as to whether a the child’s special educational needs require an Education, Health and Care Plan. 14. How effective is the SEND 14. Provision at St Monica’s Catholic Primary School? At St Monica’s we are always working towards improving our provision to meet the requirements of the changing needs of our pupils. Every half term, following on from discussions with a range of people, including parents, Teachers, Key Stage Leaders and the Head Teacher, the SENCO looks closely at the progress of all pupils on the SEN register. This enables the progress of these pupils to be monitored closely and provides the opportunity for provision to be adjusted where progress is not as good as we would like it to be. In addition to this, an online Provision Mapping tool supports the SENCO to monitor the effectiveness of specific interventions, looking closely at the impact the provision has had on individual pupil progress. The table below demonstrates the progress of SEN pupils in comparison to non-SEN pupils. It shows that SEN pupils make progress that is similar to their peers. In some instances SEN pupils have made accelerated progress of more than three points in one year. 15. Who can I contact for further information at St Monica’s Catholic Primary School? If you would like to discuss a matter regarding your child, your child’s class teacher is the first point of contact. The SENCO, Mrs Michelle Laskey, can also be contacted to discuss a child’s learning and will happily meet with you to discuss progress, targets or reports received from other professionals. Staff at St. Monica’s Catholic Primary School are happy to meet with any parent who is considering sending their child to the school in order to discuss specific needs, levels of support and to tour the school. All members of staff can be contacted by visiting the school office in person, by phone or by e-mail. Milton Keynes Parent Partnership, which offers support for the parents of children with Special Educational Needs. Parents and Carers Alliance in Milton Keynes, a parent forum which enables parents/carers of children and young people with disabilities or additional needs to be fully involved in the way local services are planned and developed. 16. What do I do if I wish to make a complaint regarding my child with SEN and the provision made at St Monica’s Catholic Primary School? The complaint is first dealt with by the class teacher – you need to feel that you have been listened to and that all points raised have been addressed. If the matter remains unresolved, please refer the complaint to the SENCO, Michelle Laskey, or Deputy Head, Natalie Shanahan. If there is still no resolution – our Head teacher, Robert O’Malley will become actively involved. If the matter is still not resolved, you must put your complaint in writing to the Chair of Governors. The Governing Body will deal with the matter through their agreed complaint resolution procedures. In the unlikely event that the matter is still not resolved, you can then take the complaint to the Local Authority or request independent disagreement resolution. We will make further information available about this process on request. 17. Where is the Local Authority’s Local Offer published? You can link to the St Monica’s SEND Support Pathway and the Local Authority’s SEND Local Offer on the following links.